Want to stay warm? Want to extend your scuba diving season? Then dive dry. A dry suit seals you off from the water and keeps you comfortable, even in surprisingly cold water. There is incredible diving in the world's colder regions and in some areas, conditions are even better in colder months. Becoming a dry suit diver allows you to expand your boundaries and dive more places, more often. To enroll in a PADI Dry Suit class, you must be a PADI Open Water Diver or Junior Open Water Diver (or qualifying certification from another organization). This speciality also counts towards your Master Scuba Diver Certification. 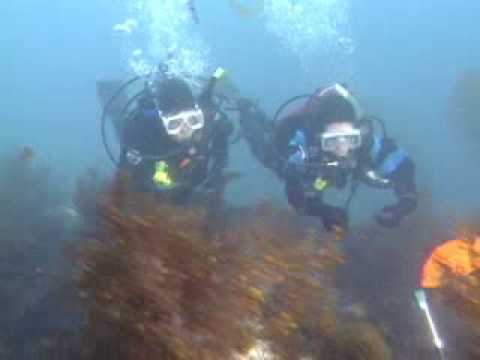 Dive safety procedures while using a dry suit. Stop by Aquatic Dreams Scuba Center to enroll in the course and pick up a PADI Dry Suit Diver Manual and DVD. By reading the manual and watching the DVD before class, you'll be ready to get into the water with your instructor and start practicing with your dry suit. Clearly a dry suit is necessary along with your basic scuba equipment. Aquatic Dreams Scuba Center's staff will explain other gear or equipment options you may need to dive comfortably with your dry suit.